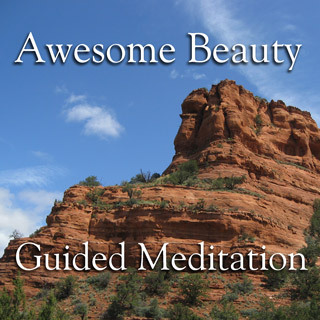 These guided meditations offer an easy way to learn the skills required for effective meditation. Much like "training-wheels" for the mind, these guided meditations can help you to achieve success while, at the same time, you're gradually learning the requisite skills for "solo" meditation anytime, anywhere. Meditation, as the word is used here, describes a process of gently letting go of all that comes between yourself and the calm, loving, pristine depths of your own inner being. We each have a calm, kind, loving, accepting, and supportive inner core to our being, but unfortunately, most of us have become unconsciously attached to the incessant chatter of the ego's old and largely ineffective schemes of attempting to pursue the enduring joy, love, esteem and well-being which truly are our innate birthright. 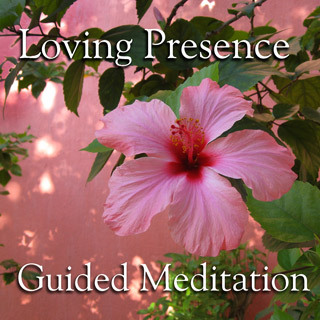 These guided meditations are based on ancient techniques used by mystics and seekers for thousands of years, and are presented here in a simple, easy to use format. To truly enjoy life, we need to rise above the old ineffective emotional programs and strategies which we've unconsciously adopted, and learn instead to rely upon the Divine Presence, the Inner Life, the very core of our being, the only place where our deepest needs for inner strength, emotional support and well-being can be fully and reliably satisfied. Due to flawed emotional programs for happiness and well-being (many of which were created during childhood), we have long been misled by our own mind, and we need to refocus our attention toward the calm, pristine depths of the Inner Life. These meditations are designed to help re-establish an intimate relationship, a deep friendship, with that still small voice within which can lead us toward powerful positive changes in every aspect of daily life. Just as the pure, clear light of the sun can be more fully understood and appreciated when separated into a rainbow of colors through a prism, so too can we better understand the pure, clear light of Divine Presence as we begin to more fully recognize and embody the rainbow of inner gifts (in brilliant hues such as Love, Peace and Beauty) which are our birthright, pouring upon us in their fullness in every moment, in every situation. As we begin to realize and embody these precious gifts such as Love, Peace and Beauty, carrying them into every aspect of daily life, we begin to fulfill our purpose in life, becoming loving, peaceful and beautiful instruments of the Divine Presence. In these meditations, you will simply bask in the Light, allowing it to illuminate and transform you in its own gentle, yet all-powerful manner. Much the same as basking in sunlight will produce gradual yet powerful changes in our body (such as the production of vitamin D and melanin) without any specific effort required on our part, so too will relaxed (yet deliberate and mentally focused) basking in the Light of Divine Presence gradually produce profound changes in body and mind, with each different hue of that Light (such as Love, Peace or Beauty) producing it's own specific effects. Spiritual progress relies upon seeing from a new viewpoint. And to help begin seeing life from a new viewpoint, it may be helpful to shift your thoughts of yourself from being a noun, to being a verb. That is, rather than thinking of yourself as "I" or "me" (something known and having rather fixed qualities), begin to think of yourself simply as an on-going process (a work-in-progress), an ever-changing process which is powered and nurtured by the ever-present ocean of Love in which we are immersed. Simply open yourself to new possibilities, new ways of life, and relax into the vast Ocean of Being, seeing yourself as an on-going work of art, having unlimited potential for inner peace and happiness. The old, unsatisfactory mental habits have often been accumulated and reinforced over many years, so it may take some time and dedication to overcome them. At first, meditation may seem like a burden, but over time, it will likely become an important and cherished part of each day. As a first step, sort of a trial period, meditate at least once a day for thirty consecutive days, and then carefully examine your daily life: are you calmer? more peaceful? behaving more beautifully? expressing greater loving-kindness? living with greater ease? If so, you're on the right track! 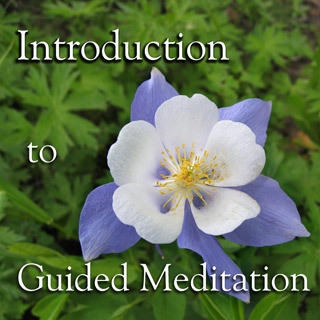 For the first few times you use these guided meditations, please listen to the introduction before listening to the meditation. 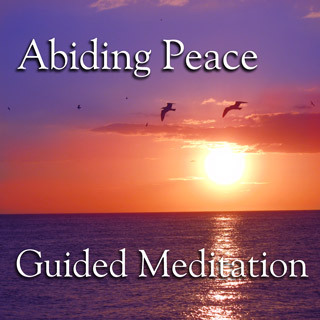 If imagining yourself in a peaceful place is easier for you, then begin with Abiding Peace. If imagining yourself immersed in the presence of love is easier for you, then begin with Loving Presence. If imagining yourself in the midst of great beauty is easier for you, then begin with Awesome Beauty. Later, after you've mastered the initial meditation, then it may be useful to work with whichever meditation you like the least, and strive to better understand how to reach the intended goal of the meditation despite your preferences. P.S. ... Please use the contact link at the bottom of this page to send me your comments, suggestions and/or a description of some of your experiences!